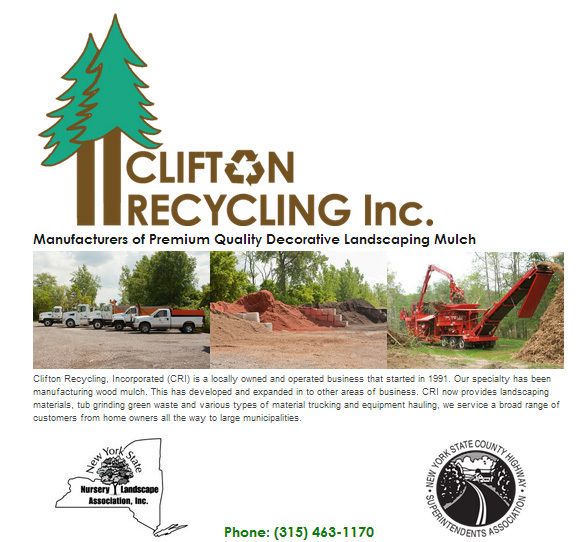 Clifton Recycling, Incorporated (CRI) is a locally owned and operated business that started in 1991. Our specialty has been manufacturing wood mulch. This has developed and expanded in to other areas of business. CRI now provides landscaping materials, tub grinding green waste and various types of material trucking and equipment hauling, we service a broad range of customers from home owners all the way to large municipalities.